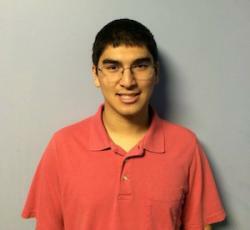 Matthew is an undergraduate student at Duke majoring in Electrical & Computer Engineering and Computer Science. He joined the Franklin Lab in 2016 and is studying fabrication of carbon nanotube and molybdenum disulfide transistors. He has also conducted research on carbon nanofiber dispersion and protein folding in the past. In his free time, Matthew enjoys building circuits with Arduinos, jogging, and playing piano.